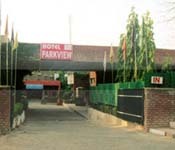 Renowned for its excellent hospitality services, Hotel Park View is one of the finest in Chandigarh. With a moderate fee, the Hotel offers state-of-the-art facilities for the guests. The location of the hotel is its biggest plus point as it is located in close proximity with the City center and Bus Terminus. The Airport and rail head is also not very far and lie at a distance of 14 and 10 kms respectively. In service beneath the tutelage of CITCO, this hotel ensures clean, well priced and comfortable rooms in the heart of Chandigarh. 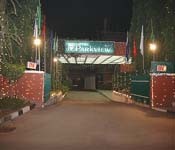 The Hotel also boasts of a delicious restaurant that offers the best of Indian, Chinese and other dishes. 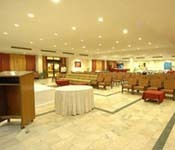 Apart from that, the Hotel also offers a fabulous banquet hall for private functions and business conferences etc. Another fine venue for such parties is the hotels open space called ‘The Garden Retreat’. The brilliant facilities offered by the hotels include safe, clean and comfortable rooms which have been classified into a total of 28 Rooms with AC and a total of 36 Air Cooled Rooms. The rooms have TVs, Running Hot Water and a dedicated room service.